Turkey, JULY 2014: Time lapse of Sultan Ahmet Mosque. Blue Mosque in Istanbul. 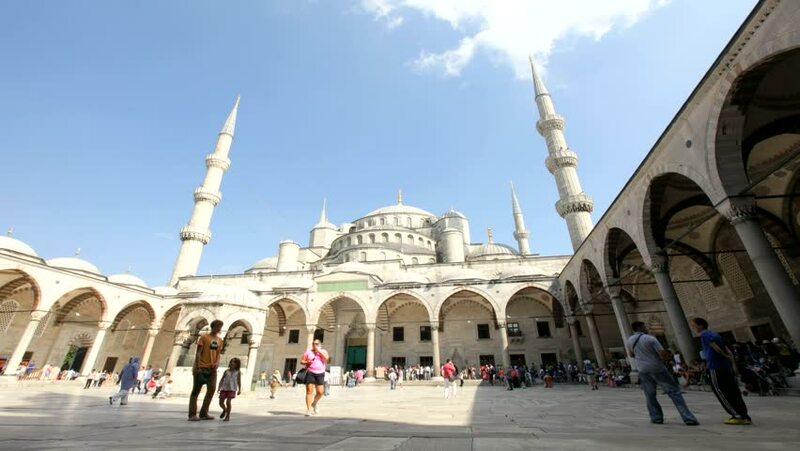 4k00:11ISTANBUL,TURKEY - October 12,2014 : Tourists visit Sultan Ahmet Mosque.Everyday thousands of tourists come and see the mosque which is one of the historical landmark of Istanbul. hd00:38DELHI, INDIA - CIRCA MAY 2014: People clean themselves in the courtyard of Jama Masjid Mosque. The Jama Masjid is the principle mosque of Old Delhi. 4k00:12Time lapse of Gate number 1 entrance to Jama Masjid as seen from the street. 4k00:21ISTANBUL, TURKEY - FEBRUARY 22, 2016: View at the courtyard of the Blue Mosque on February 22, 2016 in Istanbul, Turkey.